Rotex proudly announces our 175-year company anniversary. Since 1844, we’ve been setting and shattering standards with the finest industrial separation equipment in the world. Bulk materials handling specialist, Spiroflow, has launched an innovative monitoring system that remotely provides real time information on the performance of their complete machinery range, from flexible screw conveyors to tubular drag and aeromechanical conveyors. The system is known as SAM – Spiroflow Active Monitoring. Bruks Siwertell’s new joint website showcases the fusion of two strong brands and the group’s wide variety of bulk handling and wood processing solutions. 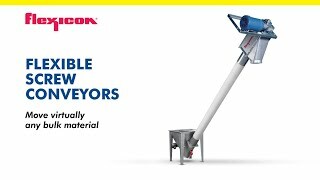 At Powtech 2019 TRM Filter exhibits its new ECR Total Pharma Dust Collector. The system demonstrates concepts and executional quality of TRM Filter’s standardized designs for High Containment Dedusting Filters. Both being very successful on the global market, the companies SIEBTECHNIK and TEMA, already belonging to the same group of companies, have decided to also combine names by introducing the new umbrella brand SIEBTECHNIK TEMA on January 1st, 2019. BRILON – The REMBE live demonstrations have been an integral part of the POWTECH for many years. The same applies to the key player Roland Bunse – an established figure in the world of Explosion Safety since the 1990s, who has been at REMBE just as long, and has been head of the REMBE Research + Technology Center GmbH for 2 years. LEAVENWORTH, Kansas – A strategic alliance between Great Western Manufacturing of Leavenworth, Kansas and Gazel Makina of Corum, Turkey will offer integrated sales of Gazel’s metal free-swinging sifters to North America, Central America, the Caribbean, and select South American countries. Oscar Mathis has been with General Kinematics for over 30 years starting as a Product Specialist moving through the position of Process Specialist to his current role as Technical Director. Oscar has a Masters of Science in Civil Engineering with a concentration in Structural Dynamics. As Genesis Process Solutions enters its twelfth year since its formation in 2006, company directors are delighted to be able to announce that Farleygreene has appointed the company as their agent for England and Wales.